SALEM—After getting into the playoffs based on its power ranking the past two seasons, McNary wants to earn its spot this year with a top four finish in the conference. The Lady Celts went a long way to getting there Tuesday, defeating South Salem 2-1. “We knew that this was a pivotal conference matchup and there was a lot on the line,” McNary head coach AJ Nash said. 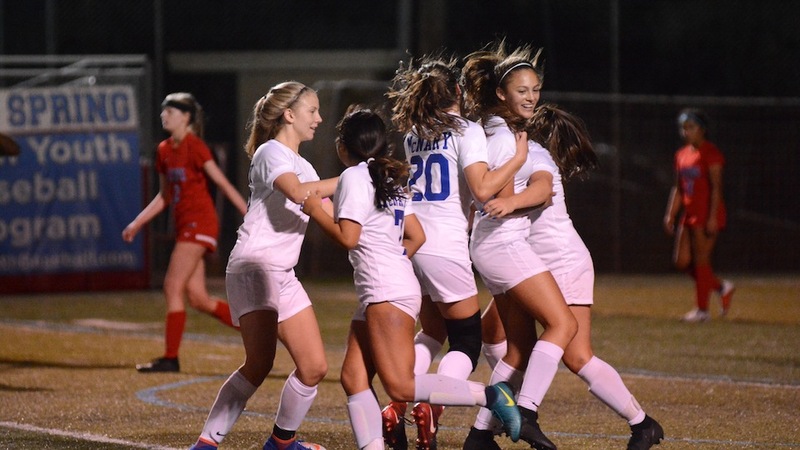 The Lady Celts came to South Salem on a seven-game losing streak, scoring just one goal in September. McNary had also played its toughest schedule in years, which got the Lady Celts ready for league play. McNary scored quickly at South Salem as Abbie Hawley headed in a free kick from Gina Munguia in the third minute. Hawley assisted McNary’s second goal, tapping the ball to Audrey Williams, who put it in the corner of the net to give the Lady Celts a 2-0 lead with 15 minutes remaining in the first half. South Salem scored its only goal with 4:45 remaining in the first half. But goalkeeper Sydney Snapp and the McNary defense shut out the Saxons in the second half. The Lady Celts are 1-2 in the Mountain Valley Conference after opening with one-goal losses to West Salem and Summit, both 3-0 in league play. McNary hosts McKay (0-3) on Friday at 4 p.m.
After a 2017 Oregon Public Broadcasting investigation revealed Chemawa Indian School, located just east of Keizer, struggled to meet students’ health and academic needs, fostered a hostile work environment, and charged administrators with acts of nepotism and favoritism in hiring practices, Rep. Kurt Schrader and others from the Oregon legislative team sought to delve deeper into what is happening. To date, they’ve been mostly stymied. Letters with pointed questions about practices at the school, established to teach Native American youth a variety of trades including farming, animal husbandry and other vocational skills beneficial to reservation life and culture, were sent to the U.S. Department of Interior, the U.S. Department of Education the Department of Health and Human Service and the Department of Indian Affairs. Answers were slow to arrive. However, Schrader said the primary stumbling block has been John Tahsuda, the principal deputy assistant secretary for Indian affairs, who has forbidden the school’s administrators and employees from talking with congressional representatives. Schrader said he’s talked to leaders of several congressional committees that oversee Chemawa, along with other Native American boarding schools, who support his desire for a congressional hearing on the matter, but it would not take place until after the mid-term elections or possibly 2019. Responses from the Department of Education and Health and Human Services arrived recently addressed many of the questions – focused on funding and health services – asked of those agencies, but Schrader said the responses up to that point were of the “see the policy handbook” variety. “They are afraid someone is going to say something that makes them look bad. It’s wrong at the core and these kids deserve a little more, not less,” Schrader said.